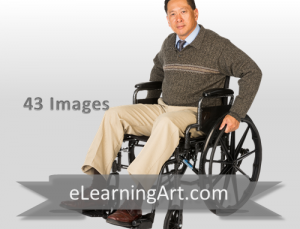 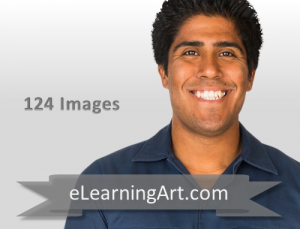 eLearning characters can be used in scenarios, stories, conversations, and more. 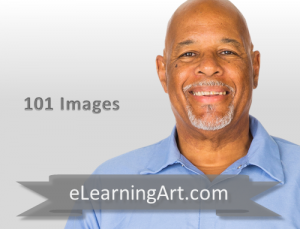 What you need is the same characters in many poses, so that you can build our stories and scenes (learn more). 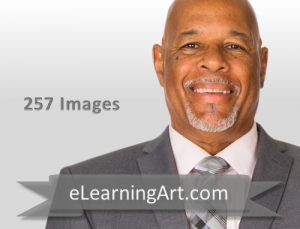 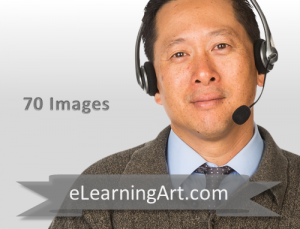 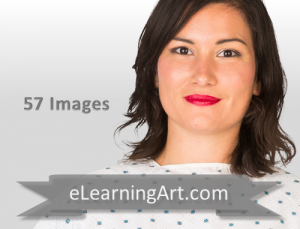 We have over 40,000 character images to help you rapidly build better courses.